A sermon preached at St. Andrew's On-the-Sound Episcopal Church in Wilmington, NC on May 18, 2014. The texts were Acts 7:55-60 and John 14:1-14. 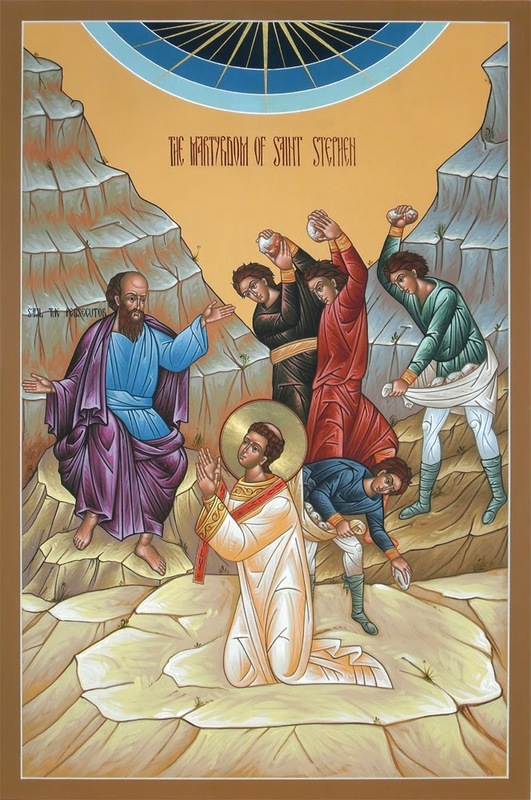 Since my teenage years, especially that early period right after my conversion, I have been fascinated by St. Stephen. A fabulous preacher who could turn a phrase and tell a story like the best of them. 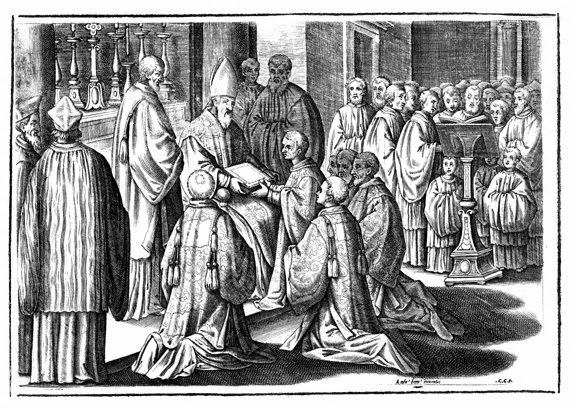 The first deacon ordained to serve the needy Gentile widows and orphans of the Christian community in Jerusalem led by Peter and the other apostles. And, perhaps most famously, the first martyr for the Christian faith…the first one to take seriously Jesus’ call to ‘take up your cross and follow me’. Except he traded the cross for a pile of stones. I can remember hoping and praying that I would live a life worthy enough for Jesus to stand when I finally died. For a young Christian, Stephen’s vision at death seemed like the best thing anyone could hope for. Being honest though, I never thought for a second my Christian faith would cost me my life, or would really cost me anything at all. Still, I hoped to see Jesus standing for me. Even today, all these years later, the fascination with St. Stephen remains. 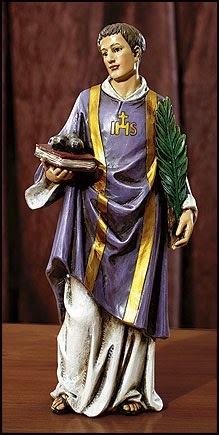 Once I was ordained a deacon, I very quickly ordered a statue of St. Stephen for my office, as he is the patron saint of deacons. He was wearing a purple dalmatic, the signature garment of a deacon, and he was holding a book of the Gospels in his right hand. And sitting on that book were three stones, a reminder of his martyrdom. One day, when I came back from lunch, I saw a little sign placed on my statue. It said, “St. 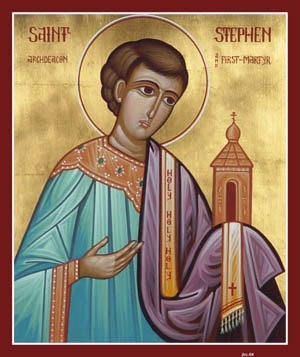 Stephen, Protomartyr and Patron Saint of Jugglers.” Can you guess which of my clergy co-workers was responsible for that? Hint: it’s my only clergy co-worker. Joking aside, St. Stephen has been, and will remain, a very significant figure in my life. And perhaps in the life of my son, Jude. Jude was born on December 26th, 2012, one of those unlucky children born right near Christmas. The 26th, however, is also St. Stephen’s Feast Day. So every year that I will celebrate the birth of my son, I’ll also remember the death of St. Stephen. It seems my life can’t escape the shadow of St. Stephen. Lord, do not hold this sin against them. I’ll be honest with you. I have held a fierce grudge for something far less significant. For a wrong done to me or my family, I may be prone to harbor feelings of anger and rage in my heart, not forgiving the wrongdoer, not forgiving the offense. But here, as the stones began to break his body, Stephen managed to cry out in forgiveness, “Do not hold this sin against them.” And so I ask, what kind of conviction must it have required to forgive the very people about to kill him? 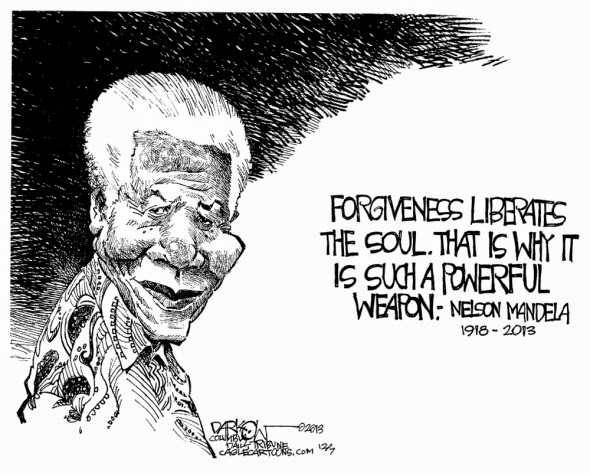 What kind of inner-life, inner-spirituality, must it have required to stay steadfast, rooted in the forgiveness of Jesus, and then forgive as he watched his own blood stain the ground? Perhaps it was a conviction rooted in Jesus’ words, “Do not let your hearts be troubled. Believe in God, believe also in me. In my Father’s house there are many dwelling places.” Stephen’s life seemed to be so caught up in the story of Jesus that even his own death could not persuade him to abandon the radical way of forgiveness taught and embodied by Jesus. This “Way” that Jesus spoke about, the “Way” of preparation, was in a very real sense his own death. It took the death of Jesus to reveal the absolute brokenness of humanity. He was made the scapegoat, the blame-taker, the sacrificial lamb, and yet he willingly gave himself up so that others would have life. This “Way” was, and remains, the Way of the Cross. Stephen was one of those who was convinced that this “Way” was worth taking, that if Jesus was convinced enough of the “Way” of peace, forgiveness, and self-giving, then he too should forgive in the face of his certain death. That he did, as he pointed to a kingdom of peace and reconciliation with his dying breath. Lord, do not hold this sin against them.